Argentina may have reluctantly fallen back into the embrace of the International Monetary Fund, but the biggest aid package in history has not managed to inoculate the country from an onslaught of market pain. Many investors felt reassured when Argentina received a $50bn credit line from the IMF in June and President Mauricio Macri followed through on mandated reforms to slash the fiscal deficit and tame inflation. Yet the recent turmoil in emerging markets has since muddied the outlook and called into question how Argentina will meet its $82bn financing needs for this year and next, while navigating a looming recession and rising consumer prices ahead of a presidential election in 2019. While most investors believe that policy continuity is crucial if the economy is to normalise, the turbulence roiling emerging markets adds additional hurdles to an already-treacherous obstacle course, according to John Baur, a portfolio manager at Eaton Vance. “With the external environment and the uncertainty about where the [Argentine] peso is going to end up, it’s just too hard to say if they can meet their IMF targets,” he said. Argentina’s currency has weakened more than 9 per cent against the dollar since the start of the month, cementing its position as one of the biggest losers in the broader EM rout triggered by the Turkish lira’s tumble. The Banco Central de la República Argentina (BRCA) moved quickly to shore up the peso last week, hiking its benchmark overnight interest rate five percentage points to 45 per cent. The country’s short-term debt obligations pose another problem. Between this year and next, Argentina has roughly $50bn of peso and dollar-denominated debt coming due. The bulk are peso-denominated Lebacs, which are fixed-rate bills issued by the central bank with yields as high as 52 per cent. Following monetary tightening in December 2015, investors piled into these instruments, which have maturities as short as 35 days. At its peak, the amount of Lebacs in circulation exceeded $60bn. Although the market has since shrunk to about $21bn, rolling over this debt has become a major source of market anxiety as investors gauge each auction’s success. Unwinding the stock of short-term Lebacs is an important condition of the IMF’s package. Last week, the central bank announced it would eliminate them by year-end and is encouraging banks to invest in longer-dated, peso-denominated instruments instead. Only mutual funds, insurance companies and retail investors can roll over some Lebacs. Also on offer from the Treasury are Letes, which are notes with maturities as much as 10 times that of Lebacs. “Argentina needed to do this in order to kick-start its own domestic capital markets,” according to Mr Stoeppelwerth. The only mistake, he said, is that the central bank did not do it sooner. Now, there is a confidence crisis, leading more investors to hold dollars than buy longer-dated local securities, which puts pressure on the peso. Because the majority of Argentina’s debt is dollar-denominated, a 10 per cent depreciation from current levels would increase its debt-to-GDP ratio by five percentage points, according to Guillermo Tolosa, an economic adviser at Oxford Economics. By year-end, Mr Tolosa forecasts that Argentina’s debt will exceed 71 per cent of its annual economic output. Reducing the fiscal deficit will ease this financing pressure. The government is on track to meet the IMF’s fiscal deficit target for 2018, but to balance the budget by 2020 as indicated, Mr Macri will have to slash more. Mr Macri is moving ahead with plans to reduce public investment and lower subsidies for electricity and gas. But analysts now forecast a sharper recession and rising consumer prices as a result — ahead of a pivotal general election next year. It was long an article of faith that Mr Macri would romp home for a second term in October 2019. But austerity has seen his approval ratings slump to about 35 per cent from over 50 per cent at the start of this year. Furthermore, the possibility that a corruption scandal around Cristina Fernández, the former president, could see a more moderate and electable candidate emerge from the opposition Peronist party has further unsettled investors about Mr Macri’s re-election prospects. ASPEN, COLORADO – The United States economy is doing well. But the next recession – and there is always another recession – could be very bad. The US Bureau of Economic Analysis estimates that GDP growth in the second quarter of 2018 reached 4.1% – the highest since the 4.9% seen under President Barack Obama in 2014. Another year of growth will match the record ten-year expansion of the 1990s. Add to that low unemployment, and things are looking good. But this cannot continue forever. Given massive global corporate debt and a soaring US stock market – the cyclically adjusted price-to-earnings ratio is high by historical standards – one possible trigger for a downturn in the coming years is a negative shock that could send securities tumbling. That shock could be homegrown, coming in the form, say, of renewed inflation or of the continued escalation of the trade war that US President Donald Trump has started. The shock could also come from abroad. For example, the current financial and currency crisis in Turkey could spread to other emerging markets. The euro crisis is not truly over, despite the completion of Greece’s bailout program, with Italy, in particular, representing a major source of risk. Even China is vulnerable to slowing growth and high levels of debt. Whatever the immediate trigger, the consequences for the US are likely to be severe, for a simple reason: the US government continues to pursue pro-cyclical fiscal, macro-prudential, and even monetary policies. While it is hard to get counter-cyclical timing exactly right, that is no excuse for pro-cyclical policy, an approach that puts the US in a weak position to manage the next inevitable shock. During economic upswings, the budget deficit usually falls, at least as a share of GDP. But with the US now undertaking its most radically pro-cyclical fiscal expansion since the late 1960s, and perhaps since World War II, the Congressional Budget Office projects that the federal government’s fast-growing deficit will exceed $1 trillion this year. America’s deficit is being blown up on both the revenue and expenditure sides. Although a reduction in the corporate tax rate was needed, the tax bill that Congressional Republicans enacted last December was nowhere near revenue-neutral, as it should have been. Like the Republican-led governments of Ronald Reagan and George W. Bush, the Trump administration claims to favor small government, but is actually highly profligate. As a result, when the next recession comes, the US will lack fiscal space to respond. The Trump administration’s embrace of financial deregulation is also pro-cyclical and intensifies market swings. The Trump administration and the Republican-controlled Congress have gutted Obama’s fiduciary rule, which would have required professional financial advisers to put their clients’ interests first when advising them on assets invested through retirement plans. They have also rolled back sensible regulations of housing finance, including risk-retention rules, which force mortgage originators to keep some “skin in the game,” and requirements that borrowers make substantial down payments, which work to ensure ability to pay. The White House and Congress have also been acting to gut the 2010 Dodd–Frank Wall Street Reform and Consumer Protection Act, which strengthened the financial system in several ways, including by imposing higher capital requirements on banks, identifying “systemically important financial institutions,” and requiring more transparency in derivatives. The Consumer Financial Protection Bureau – established by Dodd-Frank to protect borrowers with payday, student, and car loans – is also now being curtailed. Like most major legislation, Dodd-Frank could be improved. Compliance costs were excessive, especially for small banks, and the original threshold for stress-testing “too big to fail” institutions – $50 billion in assets – was too low. But the current US leadership is going too far in the other direction, including by raising the threshold for stress tests to $250 billion and letting non-banks off the hook, which increases the risk of an eventual recurrence of the 2007-2008 financial crisis. Now is the right point in the cycle to raise banks’ capital requirements as called for under Dodd-Frank. The cushion would minimize the risk of a future banking crisis. Other countries do macro-prudential policy better. Europeans have applied the counter-cyclical capital buffer to their banks. Some Asian countries raise banks’ reserve requirements and homeowners’ loan-to-value ceilings during booms, and lower them during financial downturns. When it comes to monetary policy, the US Federal Reserve has been doing a good job; but its independence is increasingly under attack from Republican politicians. If this assault succeeds, counter-cyclical monetary policy would be impaired. Most Fed critics disagree. In 2010, they attacked the Fed for its monetary easing, even though unemployment was still above 9%. Now Trump says he is “not thrilled” about the Fed raising interest rates, even though unemployment is below 4%. This is tantamount to advocating pro-cyclical monetary policy. As we approach the tenth anniversary of the global financial crisis, we should recall how we got there. In 2003-2007, the US government pursued fiscal expansion and financial deregulation – an approach that, even at the time, was recognized as likely to constrain the government’s ability to respond to a recession. 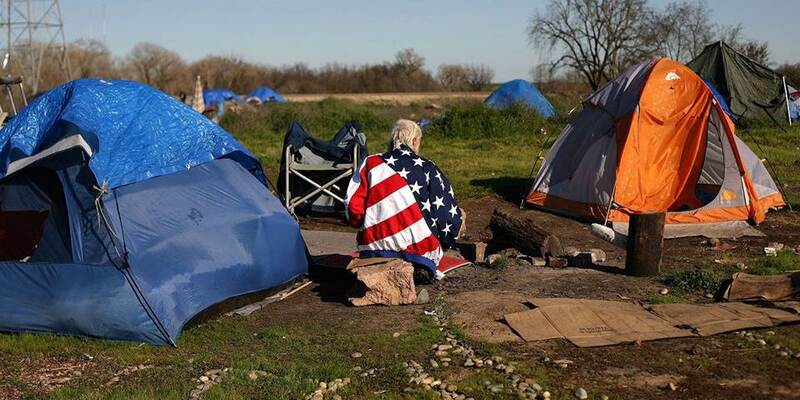 If the US continues on its current path, no one should be surprised if history repeats itself. China needs regional middle powers like Malaysia as much as they need China. In most ways, Malaysian Prime Minister Mahathir Mohamad’s four-day visit to Beijing last week stuck to what’s becoming the standard script for visiting leaders from China’s weaker neighbors. Mahathir praised China’s development model and asked for Beijing’s support in helping shore up Malaysia’s economic problems at home. And like his counterparts across Southeast Asia, Mahathir didn’t leave empty-handed; the two sides inked several deals, including a bilateral currency swap agreement and a Chinese pledge to import Malaysian palm oil and agricultural products. This script may seem to echo elements of Imperial China’s tributary system, in which peripheral vassal states would seek trade and favor with the Middle Kingdom in exchange for shows of deference. That’s because a China-centric regional order, with its weaker neighbors economically and strategically tethered to Beijing’s orbit, is essentially what Beijing is trying to convince the region to accept today. That the prime minister was received so warmly (and sent home with a bundle of goodies) anyway suggests that Beijing is learning from past mistakes, navigating political minefields in partner states at a time when BRI projects are facing intensifying scrutiny across the globe. It also illustrates just how much China still needs Malaysia – and how middle powers like Malaysia today can bend “tributary” relationships to their own aims. The sprawling, vaguely defined Belt and Road Initiative serves a range of Chinese goals. Some infrastructure projects are intended to open up trade routes that bypass maritime chokepoints which, if blocked, would bring the Chinese economy to its knees while integrating less developed provinces in the Chinese interior to the global economy, helping reduce China’s steep wealth imbalances between the coast and the interior. Some BRI projects are aimed at cultivating political influence that Beijing hopes it can use to pull strategically important states into its orbit. Some projects (deep-water ports, for example) are intended to eventually function as bases for China’s burgeoning blue-water navy – or at least that’s what BRI critics claim. In some countries, Beijing is simply using its diplomatic power to win contracts for firms back home and keep China’s vast industrial base humming while the Chinese economy enters a protracted period of slowing growth. Malaysia’s role in BRI embodies all of these objectives. The country’s strategic value stems primarily from its position at one of the world’s busiest sea lanes. The gap between peninsular Malaysia and Malaysian Borneo is the southern gateway to the South China Sea and a thoroughfare for seaborne trade bound for the Malacca Strait, the length of which peninsular Malaysia runs. Some 80 percent of China’s oil imports pass through these waters; roughly half of Chinese exports do as well. Denial of this passage would be a threat Beijing could not abide. Malaysia also happens to be a party to the dispute over China’s voracious territorial claims in the South China Sea. Naturally, Beijing is keen to discourage the country from banding together with other claimants like the Philippines and Vietnam to push back against China’s assertiveness in the waters – not to mention aligning tightly with the U.S., Japan, India and Australia. As a result, Malaysia has been a major focus of BRI. Flagship projects like a pair of new rail lines, when connected with lines being built through Laos and Thailand, would ferry exports from China’s underdeveloped Kunming province to China-funded ports on both of peninsular Malaysia’s coasts, potentially undermining the dominance of Singapore (host to a substantial U.S. military presence) over regional shipping. (Mahathir has suspended both rail projects, including a partially complete one for which Malaysia has already paid nearly $5 billion.) Chinese firms also secured a host of major commercial development projects and two natural gas pipelines (also canceled), as well as the massive Forest City real estate and island-building project near Singapore that Mahathir now says will not be open to foreign buyers (read: Chinese buyers). China saw an opportunity to boost its leverage on strategic issues with Mahathir’s predecessor, former Prime Minister Najib Razak. Najib’s United Malays National Organization (which incidentally Mahathir led from 1980-2003) had ruled the country since independence in 1957. Yet, beginning in 2015, Najib became embroiled in a massive corruption scandal related to a heavily indebted sovereign wealth fund known as 1MDB. All told, Najib and his associates are accused of having pilfered off nearly $4.5 billion from the fund, including some $700 million that made its way into the prime minister’s personal accounts. To stabilize the fund and put the scandal behind him ahead of elections, Najib turned to China. According to Mahathir’s new government, at least, Najib sold state assets to Chinese firms at favorable terms and routed Chinese loans through a series of shell companies to replenish 1MDB’s coffers. In exchange, China secured contracts to build out its BRI projects, with Malaysia taking on an unsustainable long-term debt burden. Funding for two such projects, the pair of natural gas pipelines, is believed to have been laundered through a firm linked to a Najib associate at the center of the 1MDB scandal (a figure Malaysian officials say is currently evading arrest in China). All the while, Najib was conspicuously quiet about the two countries’ territorial dispute in the South China Sea. Malaysia even bought a couple of Chinese warships. Of course, Beijing’s bet on UMNO backfired. After 15 years on the political sidelines, Mahathir was able to unite the deeply fractured opposition and oust his former protege in the May elections. He did this, in part, by making Najib’s China bailout a major campaign issue, accusing Najib of selling out Malaysian sovereignty and promising to unwind Chinese influence if elected. The once seemingly bulletproof Najib is now awaiting trial on money laundering charges, a cautionary tale to other governments about how the opacity of BRI can fan the flames of latent anti-China sentiment – and to Beijing about getting caught on the wrong side of local political currents. Still, Mahathir’s return to power hasn’t exactly dealt a death blow to China’s ambitions in Southeast Asia. During Mahathir’s visit, the prime minister backed off his most strident campaign criticisms of Beijing, going out of his way to pin the blame for the country’s mounting debt burden on his predecessor rather than Chinese predatory lending. Indeed, there’s little clear evidence to suggest that a backlash to Chinese investment was truly what swung the election. For various reasons, Barisan Nasional (the coalition headed by UMNO) has been losing popularity for more than a decade, and anecdotal reports suggest Mahathir’s enduring popularity was enough to put the opposition over the top. The maxim that all politics is local may be trite, but it also happens to generally be true. Doing business with China probably won’t be prohibitively politically risky for Malaysian leaders going forward. 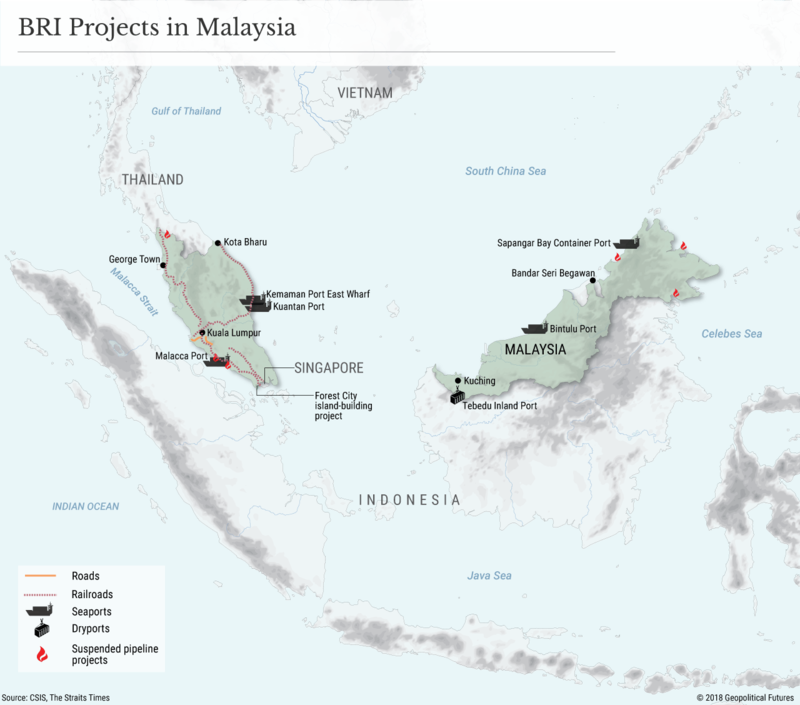 Like most countries in Southeast Asia, Malaysia is keen to hedge its bets and avoid decisively backing either China or the U.S. and its allies. (Perhaps the biggest beneficiary of this dynamic will be Japan, Malaysia’s primary benefactor during Mahathir’s first stint in office and where the prime minister made his first visit following the recent election.) Its biggest concerns are internal, given its fractious geography and ethnic makeup, and it has little interest in getting caught in the crossfire between bigger powers. Ultimately, what Mahathir’s visit underscored most was that China needs regional middle powers like Malaysia as much as they need China – and in a strategically competitive region like Southeast Asia, this gives them some latitude to chart their own course. In terms of deposits and branches, Citigroup’s Citibanamex is the No. 2 bank in Mexico, ranking behind BBVA Bancomer, a unit of Spain’s BBVA Group (BBVA). The Citi unit has $72 billion of assets and almost 1,500 branches, accounting for about 20% of Citi’s global consumer bank, Mayo says. Mayo wrote that Citi is spending about $1 billion to upgrade its Mexican branch network. The Mexican unit has significant growth potential; the bank projects that annual revenues can expand 10% annually in the coming years, partly because the Mexican consumer banking system is less developed than the U.S. system. Citi shares trade for one of the lowest valuations among major banks. They fetch about 11 times projected 2018 earnings of $6.56 a share and around 1.2 times tangible book value, a conservative measure of shareholder equity that excludes goodwill and other intangible assets. By contrast, Wells Fargo (WFC) and JP Morgan (JPM) trade for about twice tangible book value. Citi’s lower valuation reflects a weaker return on equity than several of its main rivals. Citi shares yield about 2.5%. Citi, which gets about 40% of its consumer-banking revenues from outside the U.S., has the most international exposure among its peers, with franchises in Asia and Latin America. While that global footprint sets the bank apart from its counterparts, it has been viewed as a negative this year. Investors have favored U.S-centric institutions, given the relatively strong American economy and international trade tensions. Reduced trade friction between the U.S. and Mexico would bolster the case for investing in Citi, an argument that already includes improving returns, ample stock buybacks. and its low valuation. 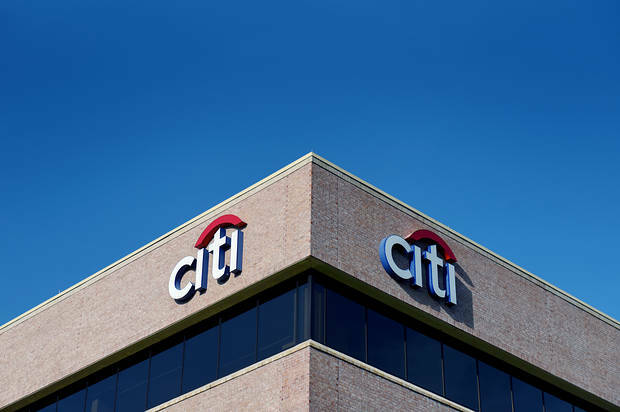 Citi got regulatory approval in late June to repurchase as much as $17.6 billion in stock over the 12 months ending in June 2019. That could result in the repurchase of almost 10% of its shares outstanding if fully executed, marking one of the most aggressive share buybacks in the industry.